In the window above you will notice how the panel is Bulging outward. Windows between 60-100 years old show damage due to lead oxidation, putty decay and general weakening of the window due to expansion and contraction. If your windows are exhibiting any of these problems inspection and maintenance is needed. panel to original strength and condition. This is a long term and cost effective option. Healthy exterior glazing is a definite plus. 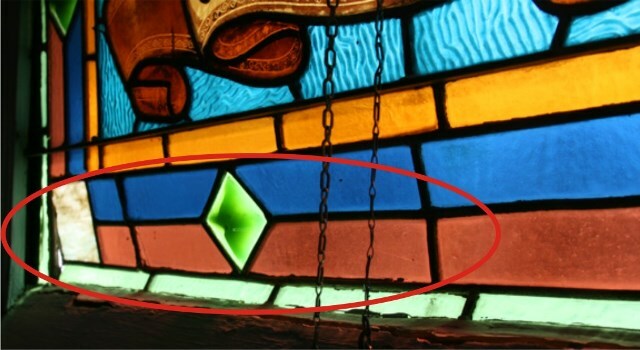 Protect your stained glass with attractive 1/4” clear glass covering, ventilation needs to be considered. 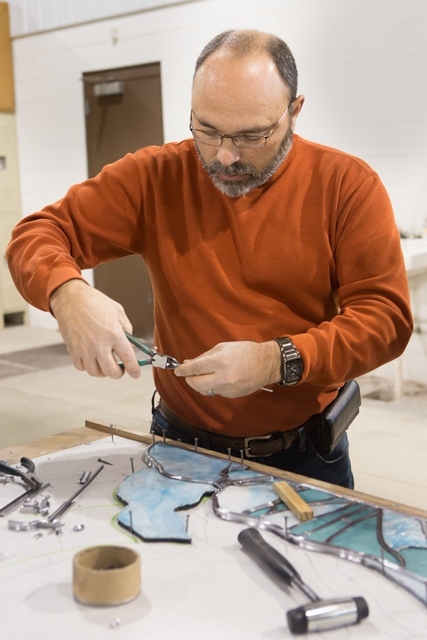 Protecting your stained glass from the elements and vandalism is highly recommended.